Markets continue to rally higher and that is favorable for our method. Some good trending moves just keep going and with reversal levels we hold on until there are Sell signals. In October Green Dot GDOT was our best performer. That stock has added to gains but Overstock.com OSTK has jumped into the lead. The Buy signal was given on 14th July when OSTK could be picked up at $16.00. It now trades at $50.03 for a 212% gain in 88 days. 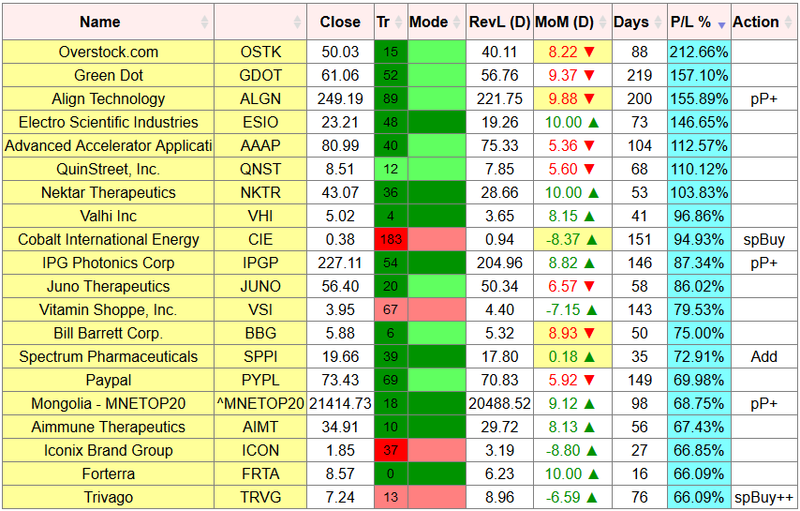 Green Dot GDOT is down to second place with a 157% gain in 219 days and Align Technologies ALGN has moved into third with a 155% gain in 200 days. Those moves are not finished, stocks are held until their next Sell signal (or Buy signal for a short position). 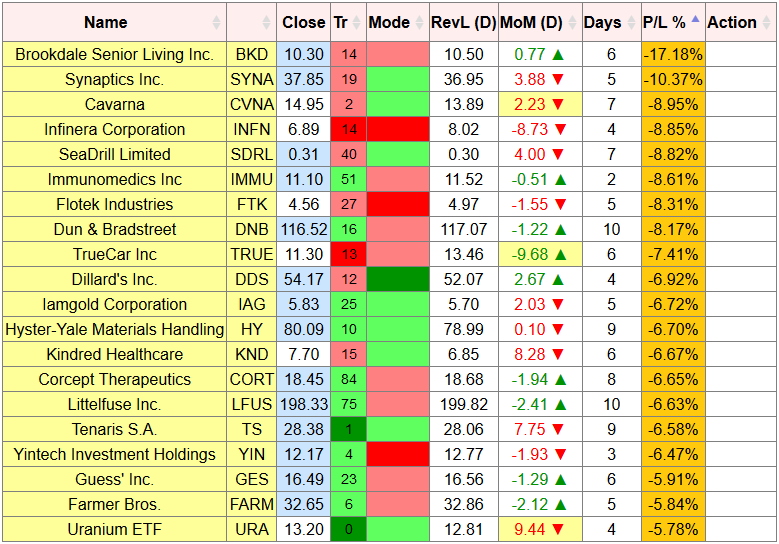 The current worst trades are short BDK (-17.2%), followed by long SYNA (-10.4%) and long CVNA (-9%). Always trying to keep losses small.